127067 people found this useful. Leicestershire County Council - Children & Families Performance Dashboards Q1 2017-18. Leicestershire County Council - Children & Families Performance Report Q1 2017-18. Leicestershire County Council - Performance Dashboards Q1 2017-18 Appendix A-B. 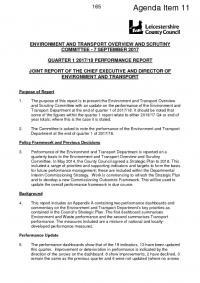 Leicestershire County Council - Environment & Transport Performance Report Q1 207-18. The Hate Incident Monitoring Project (HIMP) data is available as an interactive dashboard. A PDF version can be downloaded below. Leicestershire County Council Annual Performance Report Dashboards 2016. Leicestershire County Council Annual Performance Report 2016. Domestic Abuse data is now available as an interactive dashboard. Leicestershire County Council - Environment & Transport Performance - Transport Dashboard Quarter 1 2016/17 - Appendix B.
Leicestershire County Council - Environment & Transport Performance - Environment & Waste Dashboard Quarter 1 2016/17 - Appendix A.
Leicestershire County Council - Environment & Transport Performance Report Quarter 1 2016/17. 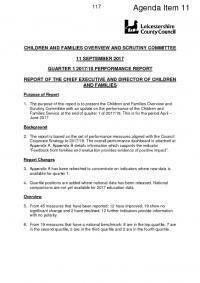 Leicestershire County Council - Children & Families Performance Dashboard Quarter 1 2016/17 - Appendix D.
Leicestershire County Council - Children & Families Performance Dashboard Quarter 1 2016/17 - Appendix C.
Leicestershire County Council - Children & Families Performance Dashboard Quarter 1 2016/17 - Appendix B.
Leicestershire County Council - Children & Families Performance Dashboard Quarter 1 2016/17 - Appendix A.
Leicestershire County Council - Children & Families Performance Report Quarter 1 2016/17. 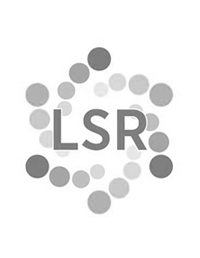 Leicestershire County Council - Corporate, Economy & Safer Communities Performance - Safer Communities Dashboard Quarter 4 2015/16 - Appendix 2. The dashboard and associated report provide an update on the Council's Safer Communities priorities. Leicestershire County Council - Corporate, Economy & Safer Communities Performance - Strategic Plan Dashboard Quarter 4 2015/16 - Appendix 1&2. The dashboard and associated report summarises current overall performance against the Council's Strategic Plan 2014-18. Leicestershire County Council - Children & Families Performance Dashboard Quarter 4 2015/16 - Appendix D.2. Leicestershire County Council - Children & Families Performance Dashboard Quarter 4 2015/16 - Appendix C.
Leicestershire County Council - Children & Families Performance Dashboard Quarter 4 2015/16 - Appendix B.
Leicestershire County Council - Children & Families Performance Dashboard Quarter 4 2015/16 - Appendix A.
Leicestershire County Council - Children & Families Performance Report Quarter 4 2015/16.